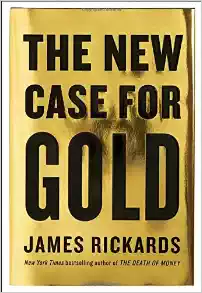 JAMES RICKARDS is the New York Times bestselling author of The Death of Money and Currency Wars. He is the editor of the newsletter Strategic Intelligence and a member of the advisory board of the Physical Gold Fund. He is an advisor on international economics and financial threats to the Department of Defense and the U.S. intelligence community. He served as a facilitator of the first-ever financial war games conducted by the Pentagon. He lives in Connecticut. Follow @JamesGRickards.